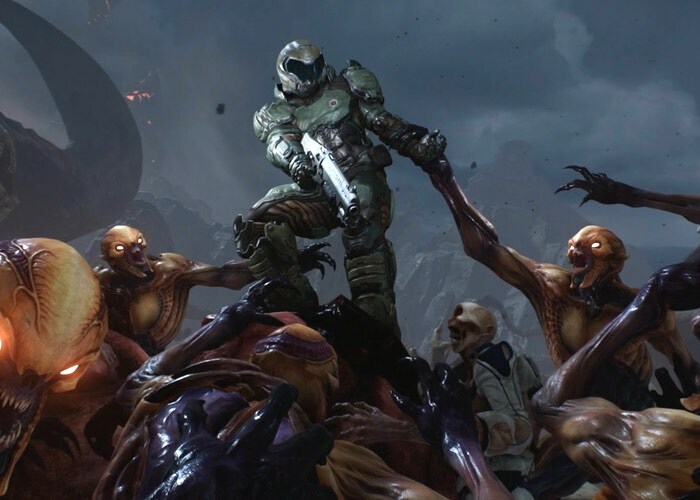 In a couple of days time on May 13th the highly anticipated new DOOM game created by Bethesda Softworks will be launching, and available to play. To whet your appetite Bethesda has released a new launch trailer providing a glimpse of what you can expect from the latest DOOM game in the ongoing series. Bethesda has also released the official minimum and recommended PC system requirements that the developer says are required to be able to play the game on a PC rig. DOOM will also be available to play on the Sony PlayStation 4 and Microsoft Xbox One if you PC is not quite up to the task. The digital version of DOOM comes as a 45 GB download with preloading available from tomorrow to make sure you have time to get again before the official launch. DOOM is back! With a brutal single-player campaign, iconic fast-paced multiplayer, and the ability to create and play your own levels with SnapMap, DOOM delivers all the guns, demons and action you’ve been craving. It’s time to Fight Like Hell. To get even more information on gameplay, check out featured content on Bethesda.net and follow the game on its official social media channels.